Project F150 Update: it runs! 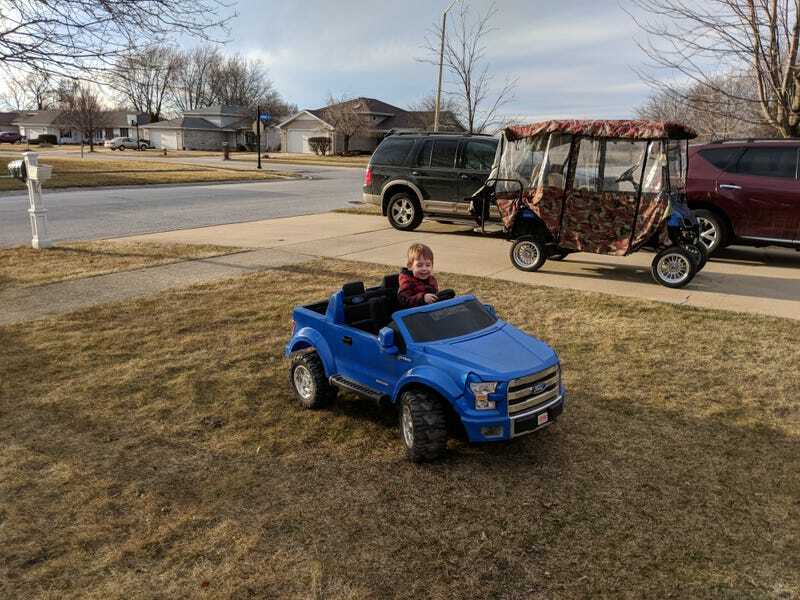 SO some of you may or let’s be honest may not remember that back in the fall I picked up a broken power wheels f150 for my son for the grand total of 0 dollars usd. Well due to winter and a knee surgery my father in law wasn’t able to work on it but it’s running now thanks to a 10 dollar accelerator switch and an old golf cart battery my dad wasn’t using and this kid loves it. Oh and my son loves it too!